Dr. Byerly is a Board Certified Otolaryngologist, Head & Neck Surgeon who has been practicing medicine in Texas since 2006. He earned his undergraduate degree in Biology with a minor in Chemistry from Southwestern University in Georgetown, Texas, and went on to receive his Doctorate of Medicine at The University of Texas Medical School in Houston. 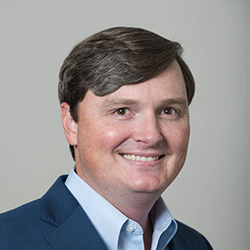 Dr. Byerly completed his residency with the Department of Otolaryngology, Head & Neck Surgery at The University of Texas Medical School in Houston. Dr. Byerly takes great care to achieve the results you want from any nasal and sinus treatment you may choose. He has done several thousand nasal and sinus procedures over the course of his career. He is on the scientific and medical advisory boards of several companies that develop nasal/sinus equipment. He is also a member of the American Academy of Otolaryngology–Head & Neck Surgery.